LG 's Super Multi Blue Blu-ray/HD DVD player will be released in the UK in the spring, the company has said. In an interview with LG's UK marketing manager, Daniel Aziz, Tech.co.uk was told the player will be priced "competitively". When pressed, he was unwilling to commit to specifics. LG's Super Multi Blue players were announced at the Consumer Electronics Show ( CES) earlier this month. LG says it is hopes the move will help end consumer apathy towards the competing high-definition formats. 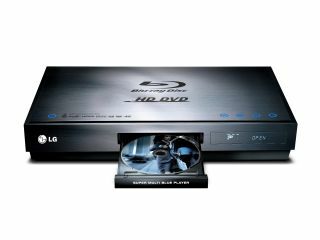 Aziz described the HD DVD playback support as an "additional feature", which may be explained by LG's Blu-ray commitments. He also claimed it had taken LG up until now to develop a product that was "one hundred per cent correct." However, the Super Multi Blue player, on US shelves now, lacks iHD support - a key interactive feature of HD DVD. "LG is not taking a risk in bringing the player to market," said Aziz. "The company was still very much in support of Blu-ray and the Blu-ray disc association." "But the consumer's needs are paramount," he added. The two rival formats are spearheaded by Sony for Blu-ray and Toshiba for HD DVD. LG had originally announced plans to release a dual format player in 2006, but withdrew its announcement. It then announced a standalone Blu-ray player in October.